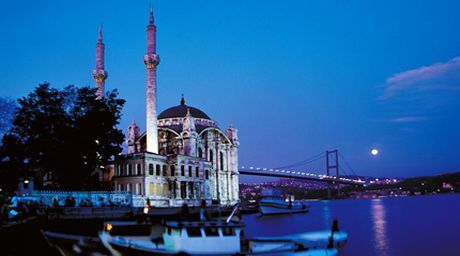 Rumi Forum is inviting PhD candidates and those who have recently completed there doctorates in social sciences for a study fellowship that incorporates a trip to Turkey with the mission of exploring social, economic, cultural, security and political issues in Turkey and the wider region during 2015. The dates will be announced here. Currently enrolled in a full-time PhD program in social sciences at a university in these states: Washington DC, Virginia, Maryland, Delaware, North Carolina, West Virginia and Kentucky. Part-time students will also be considered pending availability. All the local transportation and accommodation costs (except personal incidentals) will be sponsored by Rumi Forum and partners. Participants will have to purchase their return ticket to Istanbul. Part-time students will have to contribute to domestic flights. Upon return from the trip, the participants are expected to share their observations and research by way of a publishable article. The participants are also strongly encouraged to publish their findings in journals, blogs or other forms of media. To apply, please complete by March 7,2015 the application form at this link: http://bit.ly/fellowsapplication2015. 5. A statement from the university citing your enrollment. Part time students are welcome to apply and will need to contribute $750 to expenses in Turkey. Upon approval of their participation, the participants are expected to buy their international tickets by a date to be set by Rumi Forum and send us proof of purchase. Please visit http://bit.ly/FellowshipPapers2013 to review the papers written by 2013 Rumi Forum Fellows. Rumi Forum was founded in 1999 with the mission to foster intercultural dialogue, stimulate thinking and exchange of opinions on supporting and fostering democracy and peace and to provide a common platform for education and information exchange. The Forum wants to contribute to this ultimate aim by means of conferences, panel discussions, projects, scholarships, publications and many other activities. In particular the forum has an interest in issues regarding pluralism, peace building and conflict resolution, intercultural and interfaith dialogue, social harmony and justice, civil rights and community cohesion.